Environments for Humans brings together some of the Web's most notable experts in and for an all-new, two-day online conference, the Accessibility Summit 2016! Bring the experts to your desktop September 6-7, 2016 from 9AM to 4PM (CT). The Project Manager (PM) is responsible for ensuring all aspects of projects run smoothly, on-time, and meet numerous requirements. Often, accessibility is a key project requirement that is overlooked or misunderstood. PMs can be the champions for accessibility their teams need. In this session, Jolly will present a framework using real-world experiences to shepherd even the most stubborn team members into practicing their craft with accessibility in mind. What are the best practices for reporting accessibility problems and remediation solutions to designers and developers? What features can you include so they love your accessibility report? Screenshots of each issue? Code Snippets? Live Demos? Screencasts? What about Collaborating with Multiple Accessibility Testers? This session will focus on accessibility reporting on WCAG 2.0 Level AA requirements using Apple’s iWork Suite’s Numbers app. For a newbie to Accessibility, including screenshots of the accessibility violation is much easier than including a code snippet or trying to explain the intricacies of the screen reader behavior when the problem occurs. We’ll discuss common problems and best practices for collaborating with multiple testers on one accessibility report. For example how do you handle reporting an accessibility issue that repeats itself on multiple pages? Do you do a project wide issue section or include that same problem on every page or tab in the report? How do you avoid multiple testers documenting the same accessibility problem twice or reporting it inconsistently? What are best methods for reviewing a co-workers accessibility report to check for accuracy and train them to be a better tester? This session will show you how to create an awesome accessibility report that developers and designers will learn from and actually love. Paul J. Adam is an Accessibility Evangelist at Deque Systems, Inc. by day and spends his spare time creating websites or learning iOS development. He's worked as an Accessibility Specialist at the Texas Department of Assistive & Rehabilitative Services (DARS), a web designer for UT-Permian Basin and A&M-Central Texas, and has trained students, faculty, and staff in a wide variety of IT & Accessibility subjects. Paul is also an Apple Nerd who got hooked after using the first accessible iPhone. Data visualization is an efficient way of conveying information, but risks accessibility problems if not done right. This talk will cover well-known challenges and pitfalls for accessible information graphics, and describe techniques to overcome them, focusing on Web solutions using SVG, HTML, ARIA, and the Web Audio API. It will also describe some of the new accessibility features in the upcoming SVG2 specification, and the work of the SVG Accessibility Task Force. He is staff contact for the SVG, Web Annotation, Pointer Events, and Audio Working Groups, and has a passion for helping add missing features to the Web platform. He’s especially interested in SVG accessibility, which he’s been doing since 2004. By studying the limitations of browsers with assistive technologies and establishing developer best practices, we can we make faster, more accessible experiences for our users. We'll frame Web Performance with an Accessibility lens, looking at progressive enhancement in detail with server- and client-rendered apps built with Angular 2, React or Ember FastBoot; always remembering our friend, static HTML. Marcy Sutton is a Senior Front-End Engineer at Deque Systems, where she works on the axe-core team with a focus on integration into developer tooling. Marcy is passionate about improving the web for people with disabilities and loves contributing to Angular as a core team member with an accessibility focus. Her blog, Accessibility Wins, highlights accessible user interfaces and tools, contributing a positive voice to the web development space. Marcy also co-organizes the Seattle chapter of Girl Develop It, a nonprofit encouraging women to learn about software. Making your website accessible is quickly moving from being a 'nice to have' to a 'must have', but many web designers and developers still don't know how to build an accessible website. The Foundation web framework was rebuilt in version 6 to build in accessibility from the ground up. With every component accessible by default, built-in extensible keyboard management utilities, and copious best practice examples, Foundation takes accessibility and makes it "accessible" to web professionals. How Foundation makes it easy to annotate visual elements with screen-reader friendly names and descriptions. How you can use the Foundation keyboard utility to standardize keyboard access for any part of your website. Why do we do what we do? How can we do better at understanding the problems we face, and communicating it to others? Buddhist thought has brought us thousands of parables regarding human nature, including compassion, knowledge, patience, diligence and tolerance: all critical elements to working in accessibility. Matt May, a long-time accessibility evangelist--and newly-ordained Buddhist minister--will show (in a theoretical, non-evangelistic way) how these messages can help us explain some of the hardest problems we face.Session information forthcoming. Prior to joining Adobe, Matt worked for W3C/WAI on many of the core standards in web accessibility, led the Web Standards Project's Accessibility Task Force, helped to architect one of the first online grocery sites, HomeGrocer.com, and co-founded Blue Flavor, a respected web and mobile design consultancy. The prevalence and significance of keyboard accessibility issues is on the rise. Most keyboard accessibility issues are avoidable with knowledge of this subject and some basic testing. This session will provide details on implementing and evaluating keyboard accessibility, including insight into how ARIA and modern web applications can affect accessibility for keyboard and screen reader users. Jared Smith, M.S., is Director of Education Initiatives and an instructional designer, Web developer, and accessibility trainer for WebAIM (Web Accessibility in Mind), a project at the Center for Persons with Disabilities at Utah State University. He specializes in training Web developers, IT professionals, and educators in Web accessibility principles and techniques. He has developed accessible course content, Web multimedia, distance education tools, and database-driven Web sites. Besides providing accessibility training as part of the WebAIM team, he also teaches courses in Macromedia Flash and multimedia development in the Instructional Technology Dept. at Utah State University. He has written a broad range of documents, tutorials, articles, and other materials, many of which are featured on the WebAIM site. Did you know that 86% of people with visual impairments have low vision? While WCAG 2.0 does have a few success criteria related to low vision, many important barriers for this disability are not addressed. Luckily, hope is on the horizon. The Low Vision Task Force (LVTF) at the W3C has been identifying gaps and defining user needs. The LVTF will soon propose new success criteria for the next version of WCAG. In this session, Glenda Sims will help you understand the needs of low vision users and the universal design principles we can use today to make the web more readable for all people. Glenda Sims is senior accessibility consultant at Deque sharing her expertise and passion for the open web with government, education and companies that range from small business to Fortune 500. Glenda is an advisor and co-founder of AIR-University (Accessibility Internet Rally) and AccessU. She serves as an accessibility consultant, judge and trainer for Knowbility, whose mission is to support the independence of children and adults with disabilities by promoting the use and improving the availability of accessibility information technology ? barrier free IT. She spent over a decade as a Web Analyst at the University of Texas at Austin. As a member of Team Web, Glenda helped support the central web site for the University. She was an accessibility expert and web standards evangelist at UT along with her mentor and hero Dr. John Slatin. She recently co-authored the book InterACT with Web Standards: A holistic approach to Web Design. 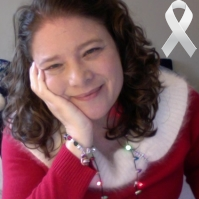 She gives back to the web by volunteering on the Web Standards InterAct Project and the W3C Open Web Education Alliance. In this session led by Knowbility's Sharron Rush, we share new resources from W3C's Education and Outreach Working Group as well as crowdsource the intelligence of the attendees like yourself to find the web and mobile accessibility tools we love and which ones we don't. After the session, we share the resource list with everyone so as to make our sites, apps, and blogs more accessible. Sharron Rush is the co-founder and Executive Director of Knowbility, a leading authority on web accessibility since 1998. Ms. Rush developed Knowbility programs to raise web accessibility awareness and skills and has led the organization to national prominence. Since 2007, she has served as an invited expert to the Education and Outreach Working Group (EOWG) of the Web Accessibility Initiative (WAI) of the W3C. In 2009, she began as liaison from WAI to the e-Government Interest Group developing standards and best practices for using the Web to improve government accountability and transparency. Ms. Rush has led Knowbility to recognition by the Clinton White House and the US Department of Labor for excellence in employment practices for people with disabilities. She has been invited twice to the West Wing to confer with Kareem Dale, President Obama?s Special Advisor on Disability Issues. In 2000 she was named Community Tech Champion by the Congressional Black Caucus. Under her leadership Knowbility received a Peter F. Drucker Foundation award for Innovation in the service of people with disabilities. Ms. Rush is a ComputerWorld Laureate and an advisor to the SXSW Interactive Media Conference. In 2001, she was named one of the Top 25 Women of the Web. In addition, Ms. Rush was instrumental in developing the ATSTAR online teachers? resource project in collaboration with the Austin Independent School District Special Education Department. In 2002, she received the Dewey Winburne Award for Community Service through Interactive Media. Ms. Rush has a Bachelor of Science Degree from the University of Texas at Austin. She is co-author, with Dr. John Slatin, of Maximum Accessibility a definitive web accessibility resource. Buckle up and fly with me, my intrepid fellow travelers! We are going on an exciting adventure as we navigate the celestial bodies of design and the multi-universe of user experience. Together, we'll explore the first, second, third, fourth, and yes, even the fifth dimension of accessibility. Then we will learn about why these different perspectives are essential to how you think about inclusive design, and how far we have yet to go on this journey. Look out--we're gonna do science on your digital content! In the daylight hours, Elle Waters works as a web accessibility evangelist at Humana, a Fortune 100 company and leader in the health and wellness industry. She focuses on accessibility implementation strategies in design, development, and process teams across the enterprise. When the sun sets, she participates as a member of the Accessibility Camp movement. Deeply committed to providing a universally accessible experience for all users wherever she can have the most impact, she believes that there is no greater reward than if a website acts as a doorway where there was once a wall. She has worked within the fields of social justice and web content for over 15 years to promote equality on the web. When not looking to start a revolution, Elle enjoys virtual worlds, zombie lore, and video games. During this hands-on class you will log in to your WordPress site as an administrator and be guided through the process of creating accessible content. What a skip-link does, why it’s needed, and how to easily add one to your WordPress theme using a plugin. Ways you can improve accessibility with plugins, widgets, and a little pixie dust. Determin which heading levels pre-exist in your theme and the proper use of heading levels. Examine the difference between Visual and Text editing. If we have time, we’ll also explore lists to find out what's wrong with those “Continue reading” links where you’ve inserted the "more" tag, and what you can you do about it. We’ll finish the session with an overview of some easily used tools for testing your work. Joseph Karr O'Connor lives in Santa Monica, California. When Section 508 came into effect in 1999 he began leading Accessible UX teams creating accessible web environments, first at Pasadena City College and then at California State University, Northridge. Joe has been using WordPress in support of non-profits, research, and university news since 2005. He contributes to Make WordPress Accessible and asks you to get involved. Joe is working with General Assembly Los Angeles to disseminate accessibility information through workshops and seminars. What does the law say about web and mobile accessibility? We still do not have web regulations in the U.S. for private companies or for state and local governments, but the U.S. Department of Justice has settled a significant number of cases requiring web and mobile accessibility for people with disabilities. Other federal agencies are doing important web work, too. Explore those settlements and look at what courts are saying about the legal right to access digital content. Speculate about the future of federal regulations and give a shout out to companies who have voluntarily engaged in Structured Negotiation with the disability community without lawsuits to improve the usability of their digital content. Consider the recent spate of demand letters and lawsuits about web access that some on social media are calling accessibility trolls. Touch briefly on what’s happening in digital accessibility law just over the border and around the world. Lainey Feingold is a disability rights lawyer in Berkeley California who has long worked with the blind community on information and technology (including web and mobile) access issues. Using the dispute resolution process known as Structured Negotiations, she has negotiated digital accessibility agreements with many large U.S. commercial entities, including Major League Baseball, Charles Schwab, WellPoint (Anthem Blue Cross), Bank of America, CVS Pharmacy, and Weight Watchers. No lawsuits were filed against any of these companies. More information is available at http://lflegal.com/. Lainey has twice been recognized as a California Lawyer of the Year for her work and is currently writing a book about Structured Negotiations. Our popular Accessibility Summit returns! With flexible content delivery and adaptable applications, the truly Accessible Web is available to everyone all the time, regardless of ability. Spend some time with the Accessibility experts and find the inspiration and practical knowledge you need to make your Web presence truly universal.